/ business / How to Break the Language Barrier in Business? 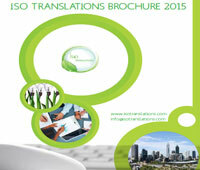 How to Break the Language Barrier in Business? In the modern age, if your organization is not representing itself in more than one language without breaking the language barrier in business, you are definitely missing out on a very profitable opportunity. Nowadays, social media is being used by many companies and organizations from all over the world to attract new clients. And the only way to attract new clients is advertising your products or services in multiple languages. If people from other countries can easily understand everything about your products or services, it will be helpful for you to attract much larger audience. Why do you need to cross the language barrier in business? We know that English is the most commonly spoken language of the internet. People use it to have a conversation or communicate with each other all over the social media. But what you need to keep in mind is that for majority of the people, English is a second language. So if your company is represented in more than one language and if you use many languages to talk to your clients, your company’s site will have increased traffic and it will appear on top of the search engines. Just take Canada for instance. There are many states where people only speak French since English isn’t spoken in those areas. So how can you expect to market or reach those people if they cannot understand you? If your business includes French for marketing in those regions of Canada, you can reach millions of new potential clients. To allow your businesses to cross all borders and overcome the language barrier in business, a number of different options are available for you. Thus you will be able to market your company and its products in various languages. Firstly, you need to figure out the nations you want to advertise in, and then translate your company details and its products into that language. This way, when someone from that nation will search for similar businesses or products that your company offers; your company’s official website will appear on the top. And by translating the content on social media accounts and the website in different languages, your company and its products will get more views; resulting in increased sales. If you have a business with branches in different countries, it will be best for you to cross the language barrier in business and come out on the other side. You must keep in mind that the majority of the world does not speak English. Generally, individuals and potential buyers do not try very hard to understand what is written on your website when they visit it to buy something. If they cannot understand what you wrote, they most certainly won’t trust your products or your company. For making things easier for the potential clients, your business must be speaking to them or display its products in their mother tongue and your sales volume will be raising. So it can be said that representing yourself in many different languages will bring you lots of new clients and a wider audience. 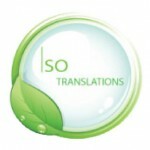 And you can do that by simply addressing to a translation company for all your needs.